Breakfast can be tricky – it’s a meal that’s easy to skip when you want an extra 10 minutes in bed. 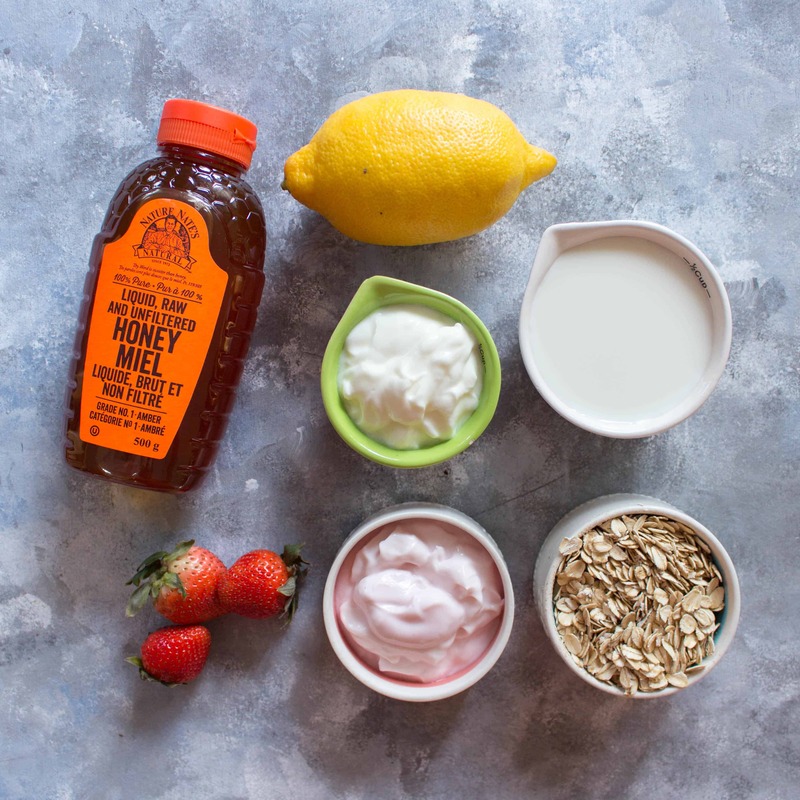 Enter these healthy and easy overnight oats to make your mornings easier!! 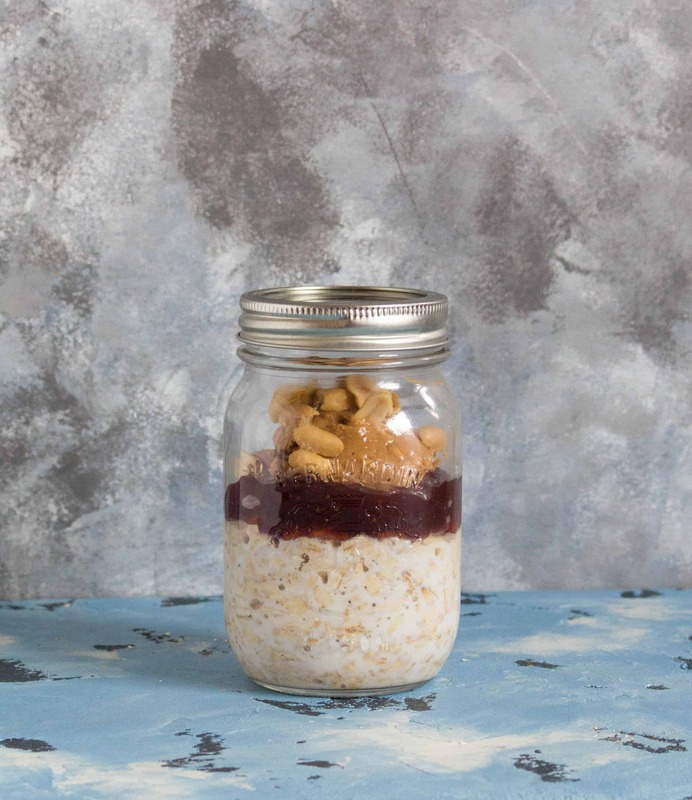 What Does “Overnight Oats” Even Mean? 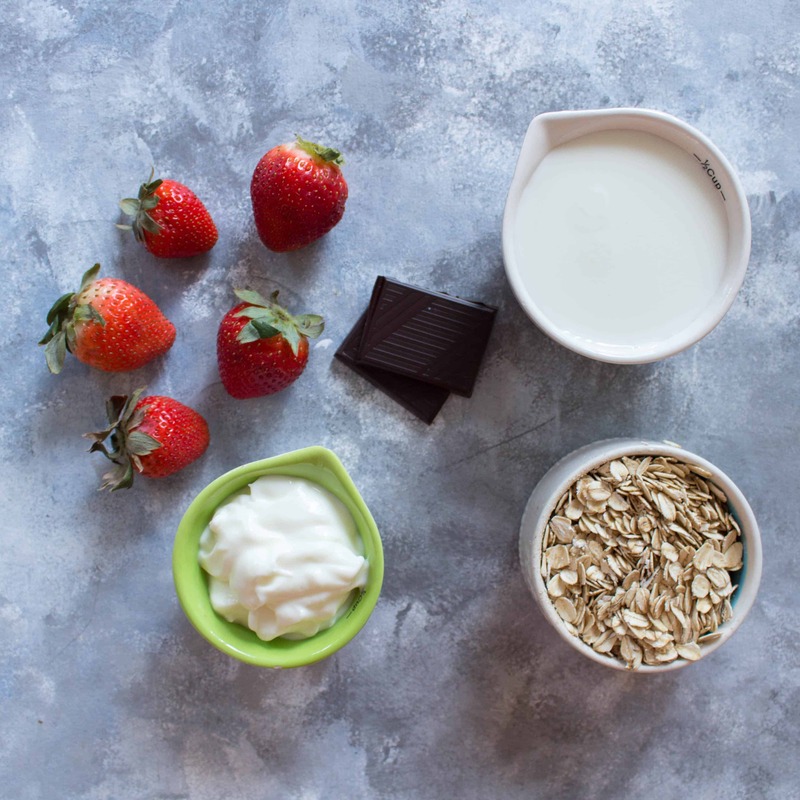 If you’ve never heard of overnight oats before, let me give you a quick rundown. 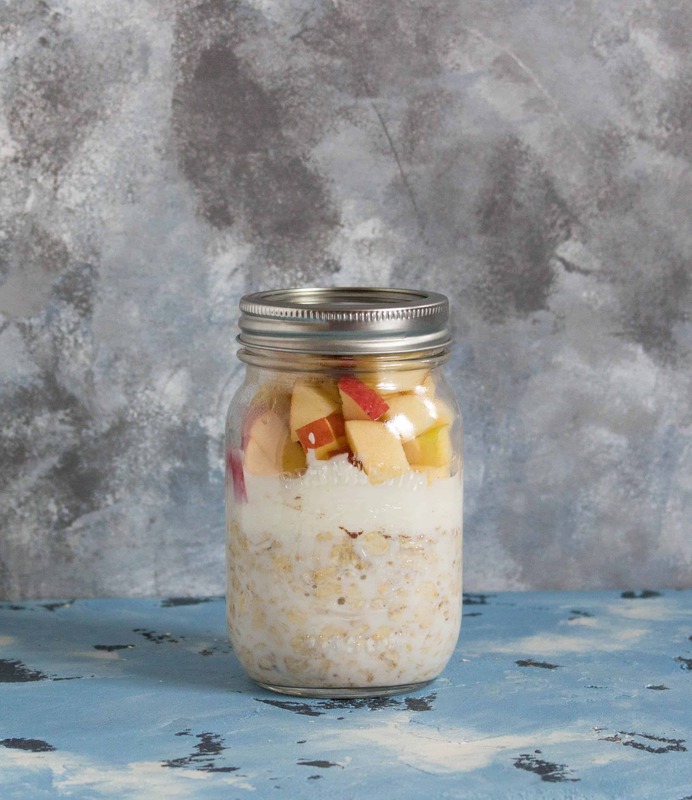 Overnight oats are a no-cook method of making oatmeal/the easiest meal prep you can ever do. Instead of cooking your oats, you rolled oats with the liquid of your choice and other flavour boosters, and leave it in the fridge overnight. 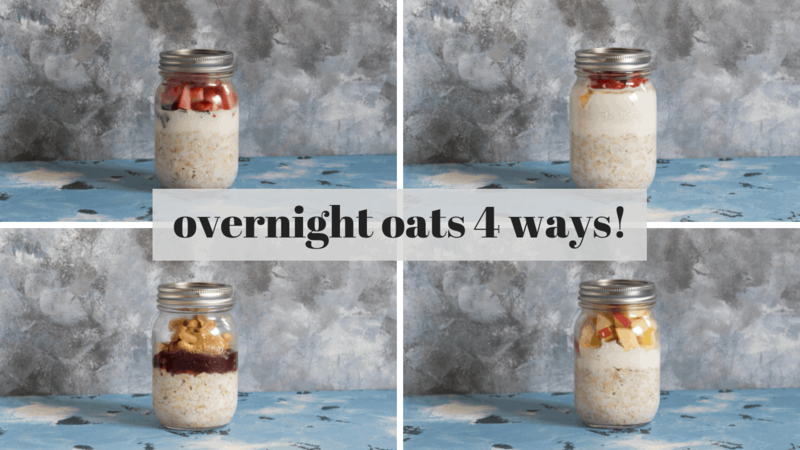 Today I have for you four super easy overnight oats recipes! 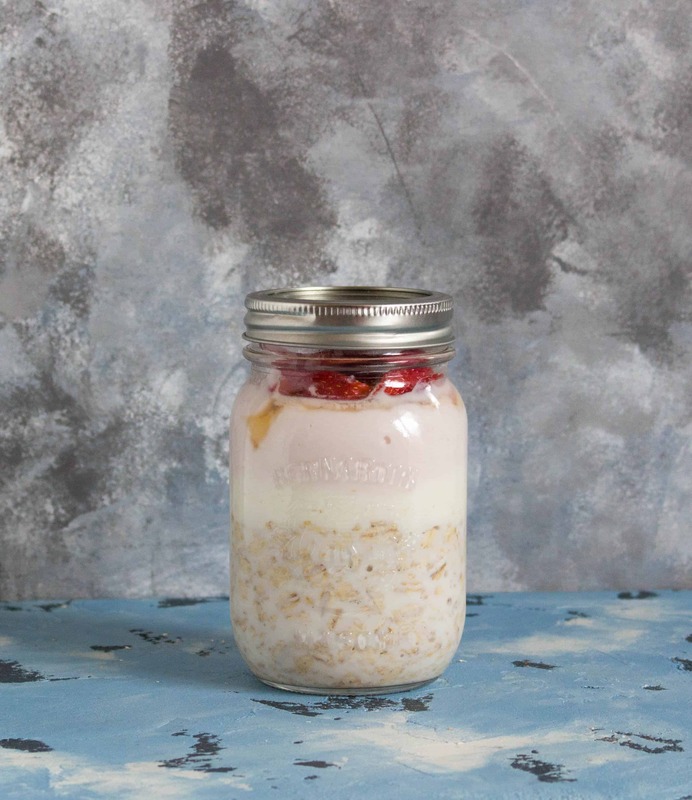 The photos below are demonstrating how the overnight oats are being layered. For maximum flavour, I’d recommend mixing everything evenly together before refrigerating. This way you get a bite of everything in the mornings! Other than the 1/2 cup of milk and 1/2 cup of oats for the base, the rest of the ingredients, the amounts are more of a suggestion. If you want more PB, add more PB! If you want more fruit, add more fruit! You do you! 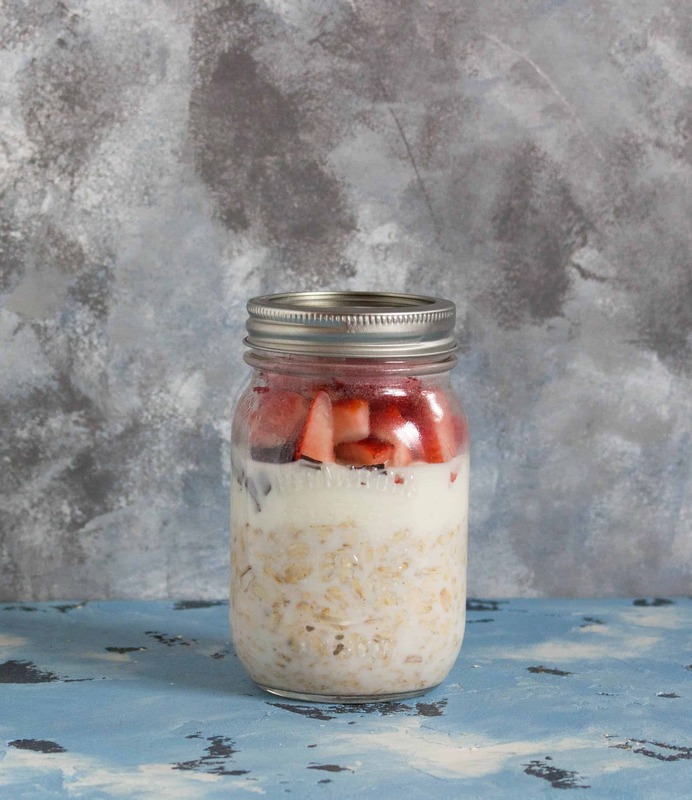 Overnight oats should last up to 7 days in your fridge. There’s a video down below (or up above!) 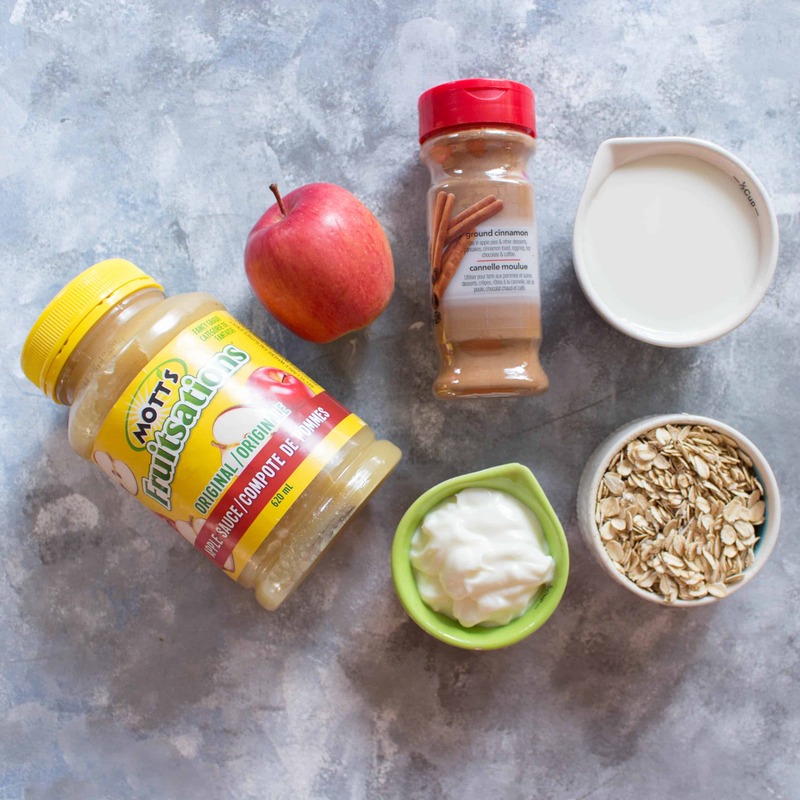 to show you just how simple it is to make these easy overnight oats! Make it vegan: Use plant-based milk, plant-based yogurt, dairy-free chocolate chips. Make it gluten-free: Use gluten-free oats. Note you might want to add more oats and milk to the PB&J one since PB&J don't take up a lot of room. Mix your ingredients into a mason jar and then refrigerate overnight. 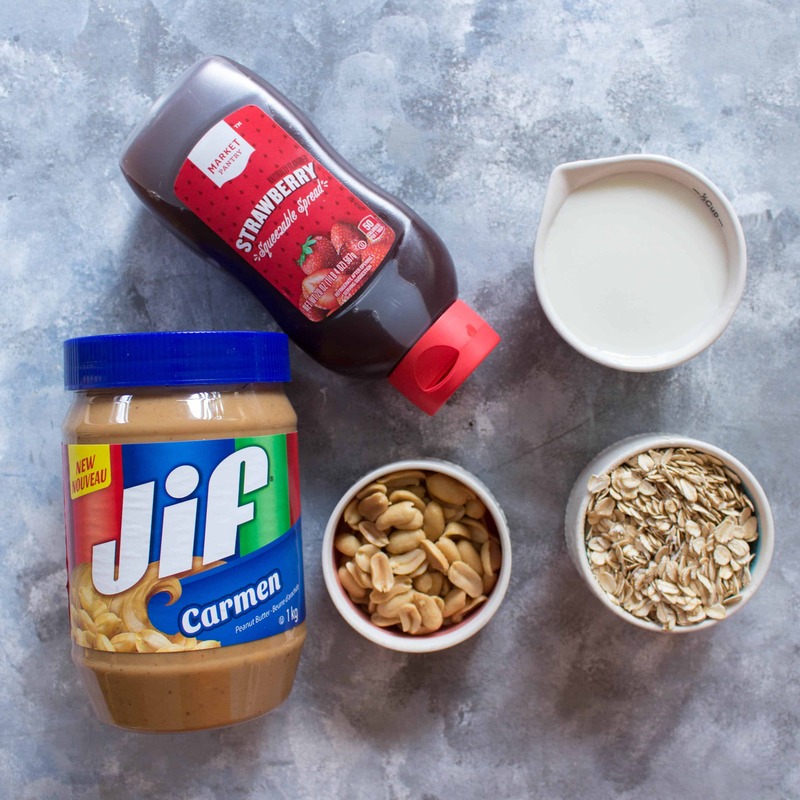 You might want to add more oats and milk to the PB&J one since PB&J don't take up a lot of room. Want more simple breakfast recipes? Check these out! That strawberry and cream one looks like it would be my favorite!! 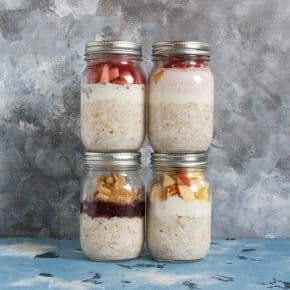 I need to jump on the bandwagon and try overnight oats instead of just pinning the recipes, lol!